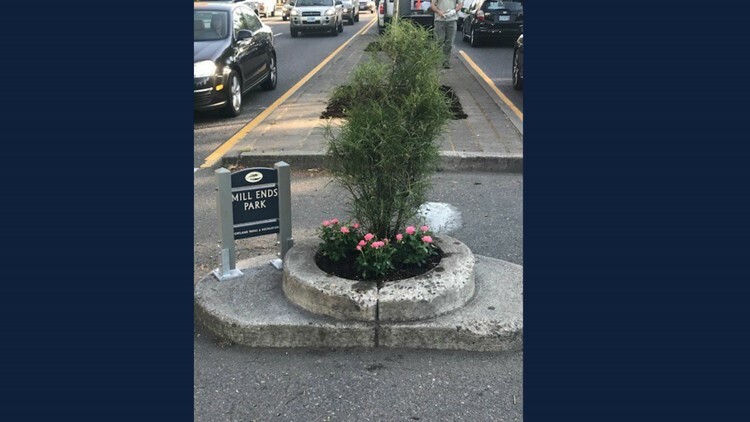 Mill Ends Park, the world's smallest park, now has an official sign. 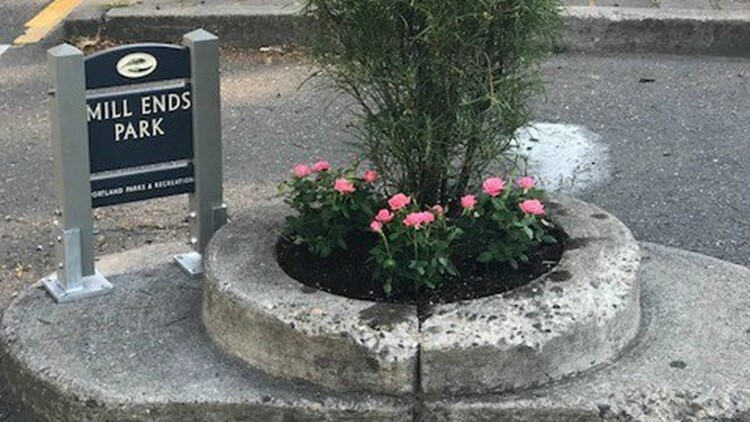 PORTLAND, Ore. – The world’s smallest park now has its very own sign. Portland Parks & Recreation shared a photo of Mill Ends Park and its fancy new addition. Workers also planted miniature roses to mark the occasion. The beloved tiny park, once described as the “only leprechaun colony west of Ireland,” can be found in the middle of Southwest Naito Parkway, near Taylor Street. Mill Ends Park officially became a park on St. Patrick’s Day in 1976. There have been many small additions to Mill Ends Park over the years, not all of which were welcomed. On April 20, someone planted marijuana in the park. It was removed by the parks department.